How did Michael Wittmann destroy an entire British armoured column? What was the Allied weapon that the Germans feared most? What modifications did the German armoured divisions make to their Tigers in Normandy? Tigers in Normandy is a detailed account of the efforts of German Panzer aces to halt the advance of the Allies from the Normandy beaches. 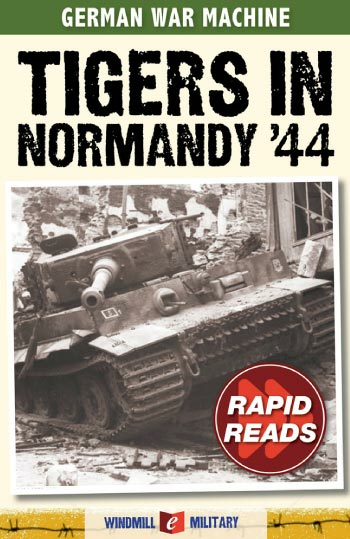 Focusing on the battles around Caen in June and July 1944, Tigers in Normandy uses first hand accounts to explain how a small number of heavy tanks, along with their élite crews, managed to delay the Allied advance by more than a month. This is a nice introductory account for anyone interested in the battle to breakout from the Normandy beachhead. Following the action from the German point-of-view, the text drops you straight into the thick of the action without spending much time on the background. Ideal for people who, like me, already know the basic facts. The opening few pages give you a great feel for the atmosphere of the period and what the war was like for the dwindling elite of the German army.The book is divided into three sections. The first focuses on the Hiterjugend division's running battles to the northwest of Caen in the days following D-day, the second on Michael Wittmann’s famous rampage through Villers Bocage, and the last on the German response to Operation Goodwood. All are told in great detail, though I have to admit that without maps (there's only one) I found some of the actions a little hard to follow.